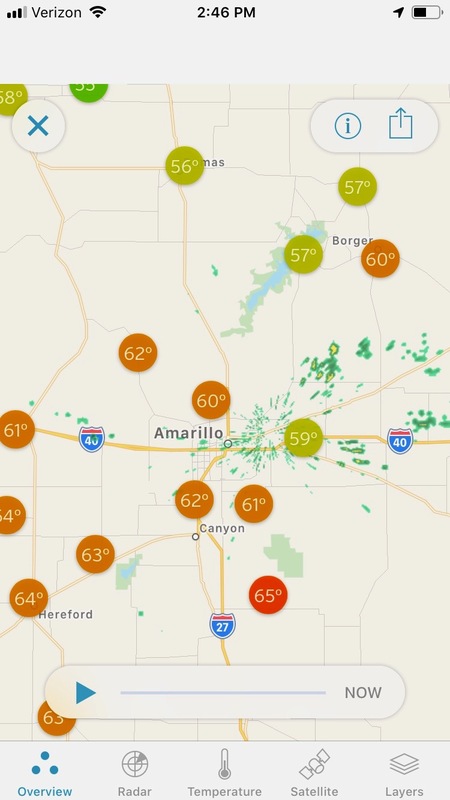 Weather in the Texas Panhandle is as finicky as anywhere in the country. Sunny days turn into walls of dust. 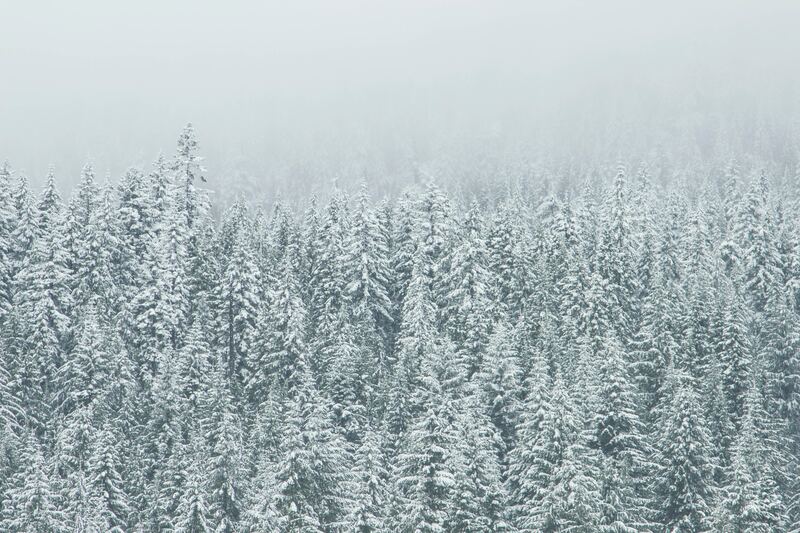 Rainy afternoons turn into frozen mornings. 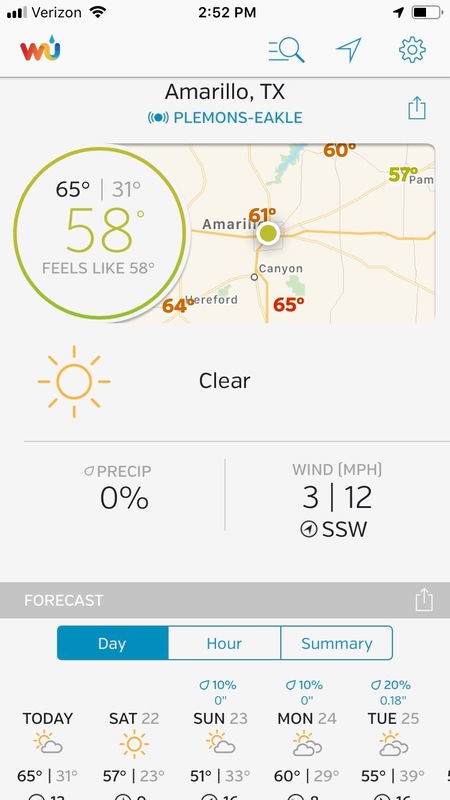 Weather that is reported to pass us by comes screaming over the caprock in defiance of any projected path. 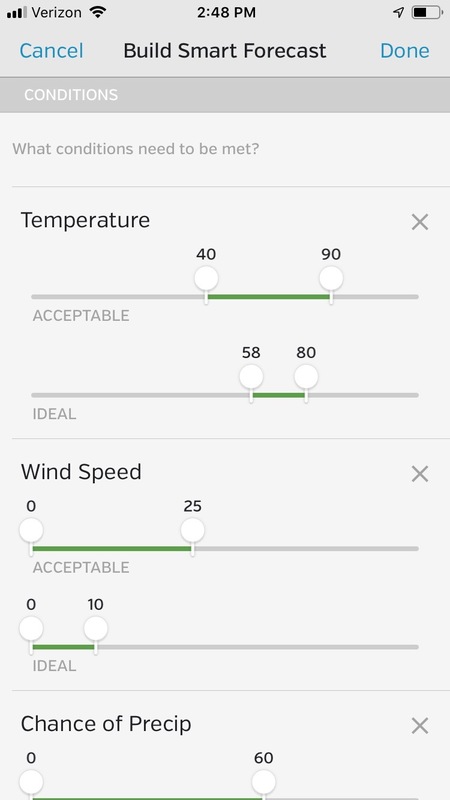 As an aviation company, we are always tracking the weather and utilizing the latest data from our flight planning channels to keep our pilates and passengers safe. 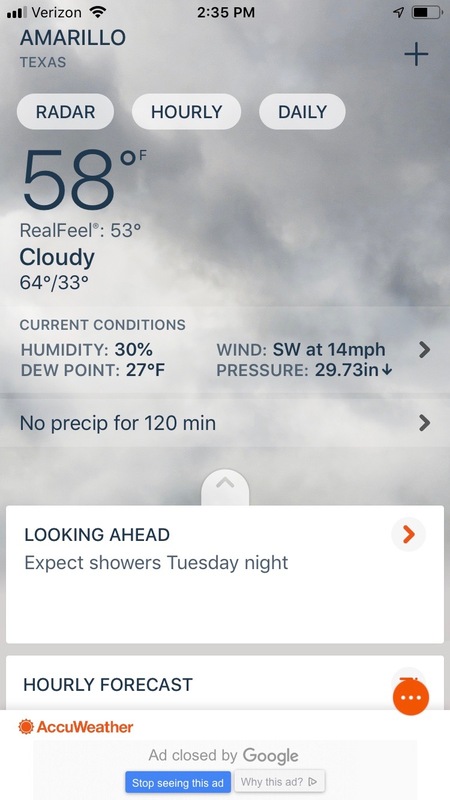 After some of the crazy weather we have seen so far this winter, we wanted to highlight some of the best applications available at your fingertips for you to use in your everyday travel plans to get the most accurate and up-to-date weather information. 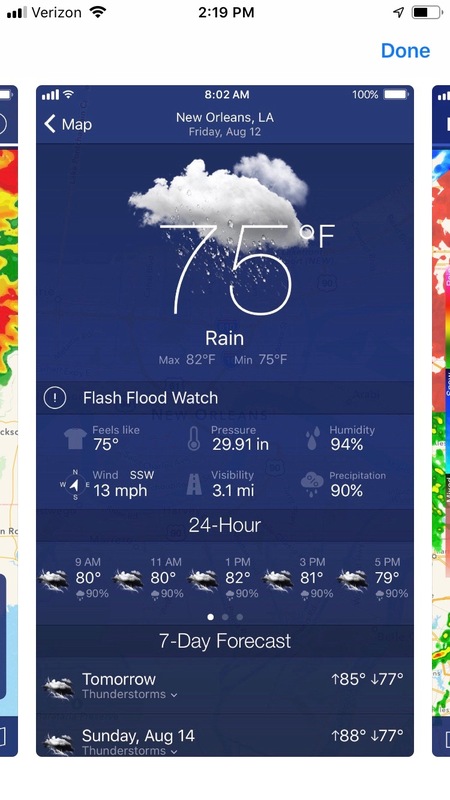 With a recently updated platform more suited for at-a-glance weather, and tons of extras, the Weather Channel app remains a must. 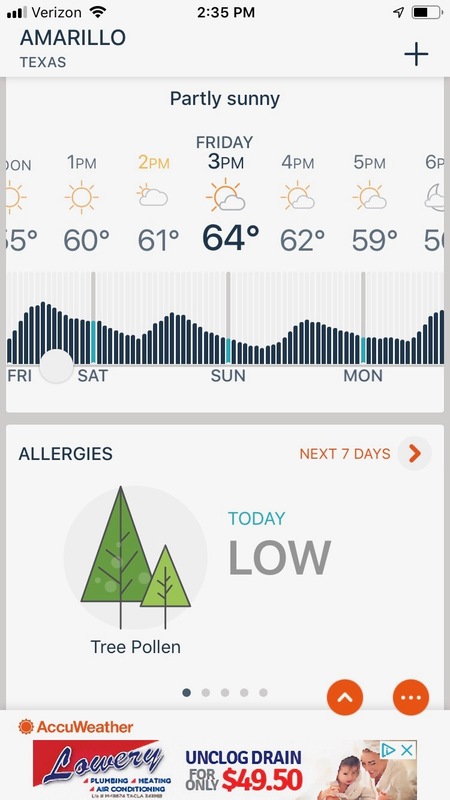 Everything from daily weather, to news, to radar, to pollution reports and pollen counts, everything you need is packaged up neatly in easy to access widgets. 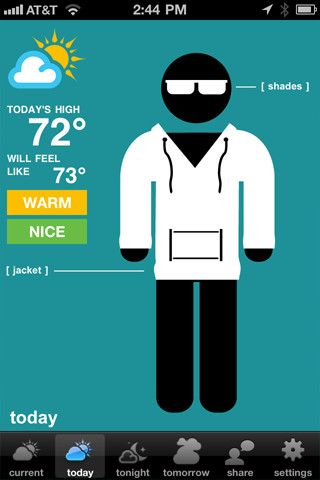 This is one of our favorites for weather at-a-glance. 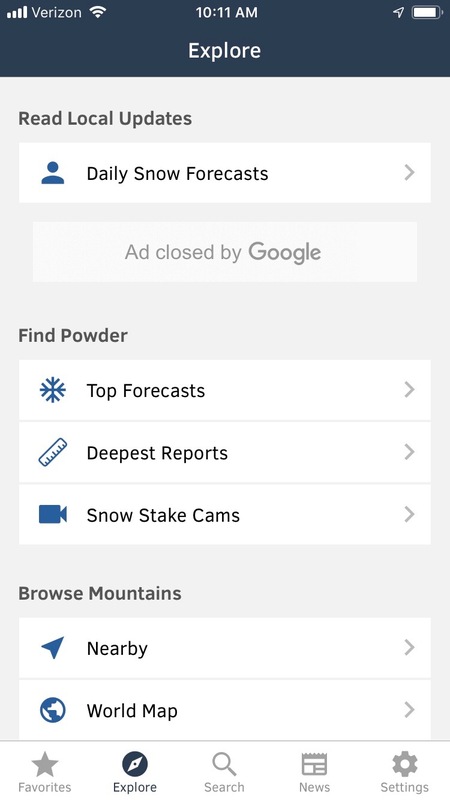 With an intuitive, visually focused design, hyper-targeted local forecasts are at your fingertips. 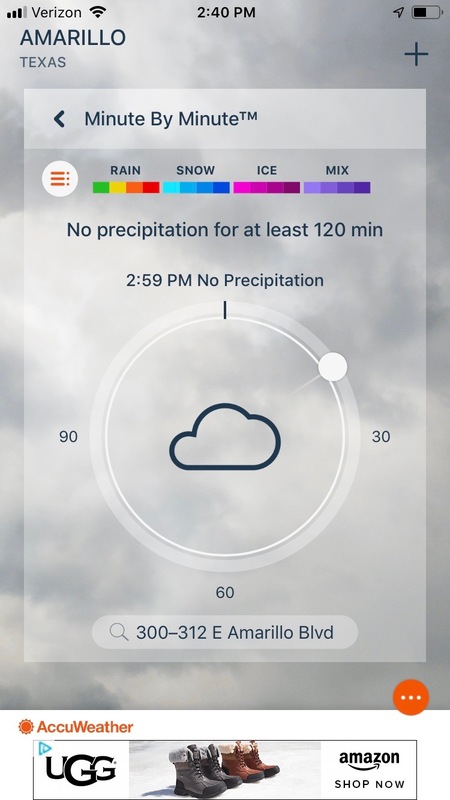 The apps Minutecast feature provides a unique way to view changes in weather minute by minute throughout your day. Give it a try and we’re confident it will be well used! 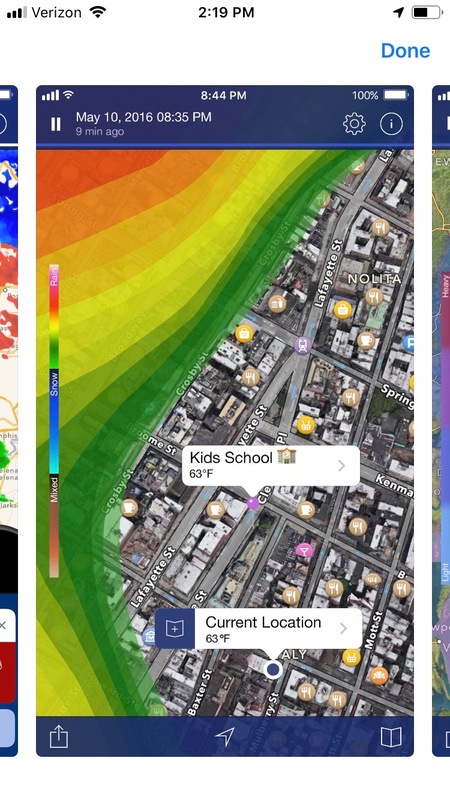 Real-time Satellite and Radar overlays, at-a-glance reports and multiple location settings on a single map are just the tips of the iceberg. 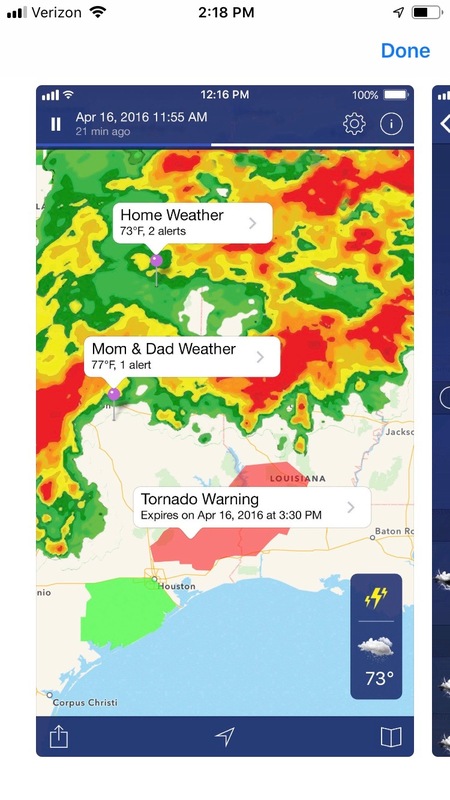 With a multitude of options for added functionality and one of the most robust app platforms available, NOAA Radar Pro will turn you instantly into the family Weatherman. Just make sure you set time aside to explore all of the different setting options! 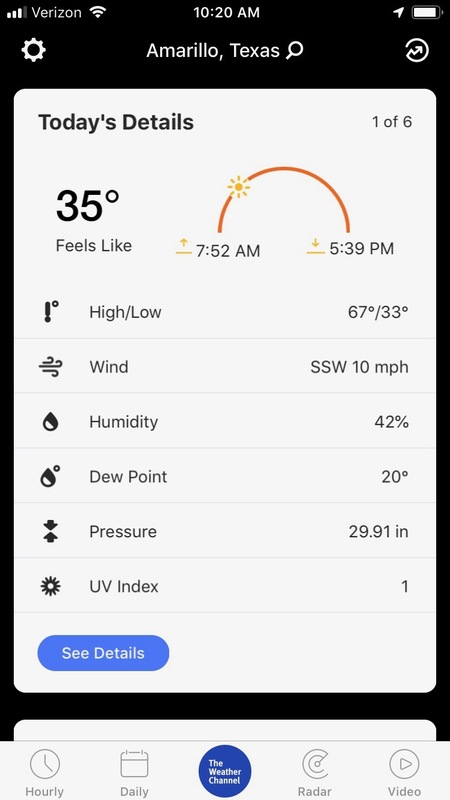 A super pinpointed platform that compiles temperatures from every weather station in the area onto one map, is one of the unique and very helpful functionalities of this app. 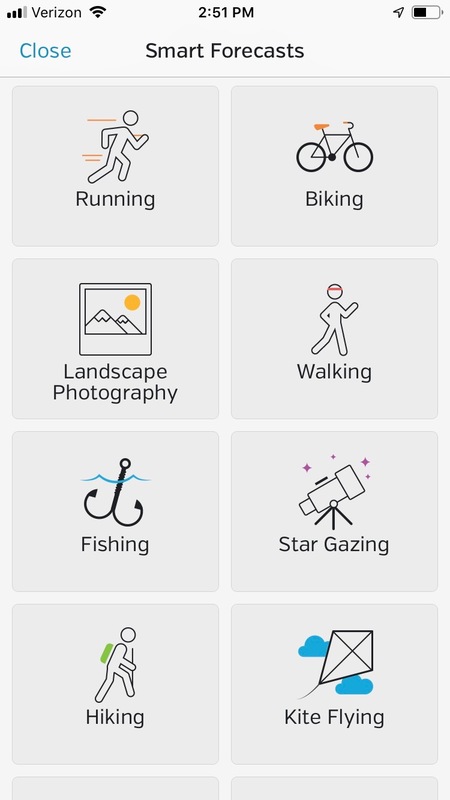 Another unique function worth exploring is the app’s Smart Forecasts which provides information on the ideal conditions for a variety of activities from biking, to stargazing, to landscape photography. 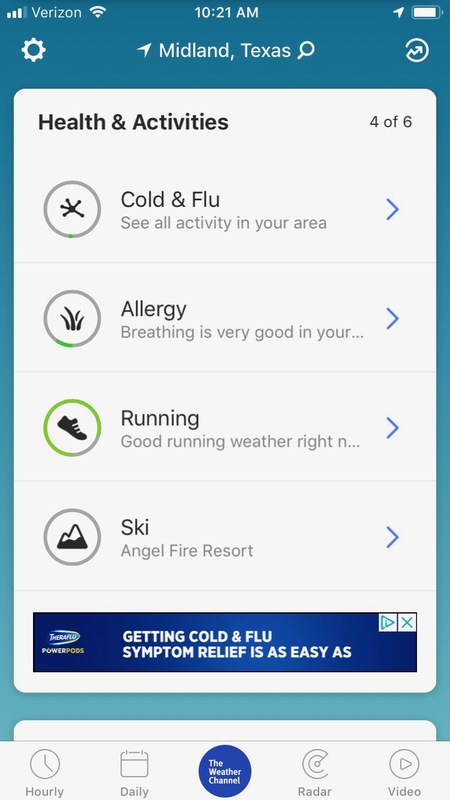 Just pick your favorite activity and the app will let you know if the current weather will allow you to make the most of it. These last Two are a little bit more fun and are for those who want to embrace the harsh transitions and who strive to make the most of the unpredictable. 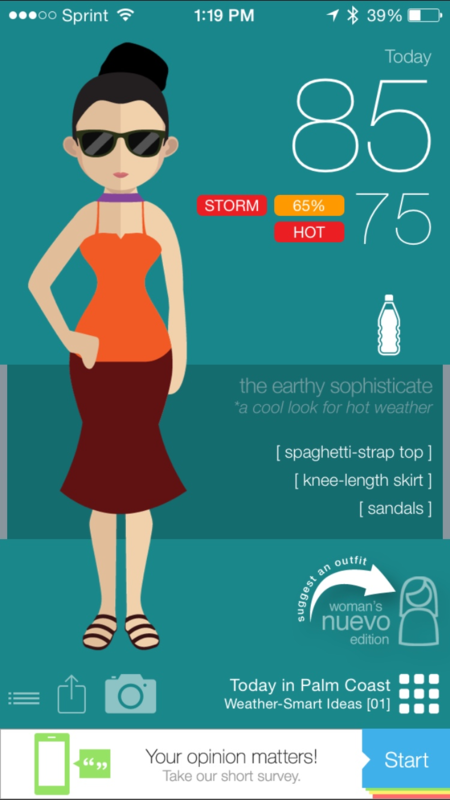 This app costs a little extra, but along with weather forecasting tools, comes a series of interactive fashion recommendations based on the weather and forecast. 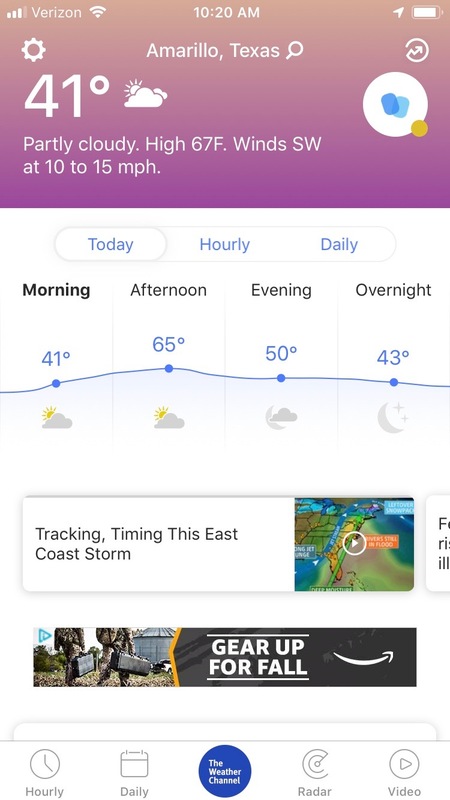 Personalized avatars, amazing animations, and pop culture easter eggs throughout, this is an app with an attitude that creates a fun and effective platform for staying in front of any weather that comes your way. 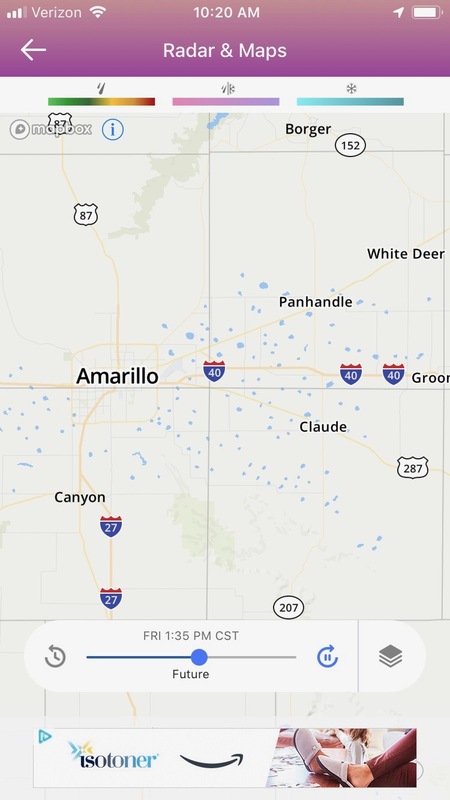 One major upside to living in Amarillo in the winter is the proximity to Northern New Mexico and Colorado. 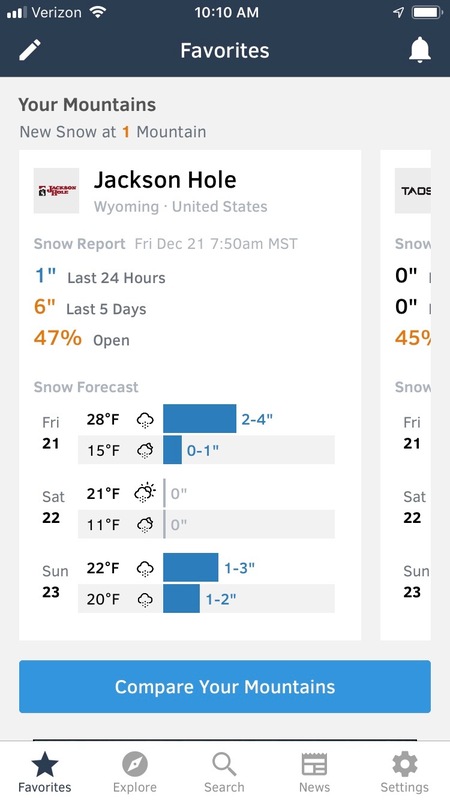 For those who don’t mind inclement winter weather and want to follow its every move, Open Snow provides a great platform for planning your slopeside excursions!